Last year my wife and I made a special trip to Battle Ground, Indiana (just outside of Lafayette), to visit one thing that had been on our ‘bucket list’ since the day we met…Wolf Park [WolfPark.org]. It took us 8 hours of driving to get there – but it was worth every minute. Our experience of getting a wet kiss from a real wolf and plenty of photo opportunities can be found HERE. What we didn’t expect on our journey was the wonderful city of Auburn, Indiana. 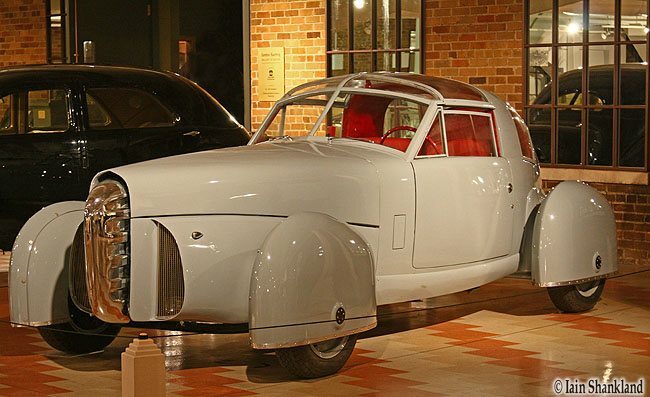 We stopped in Auburn for a coffee break – only to discover there are a number of auto and air museums there. 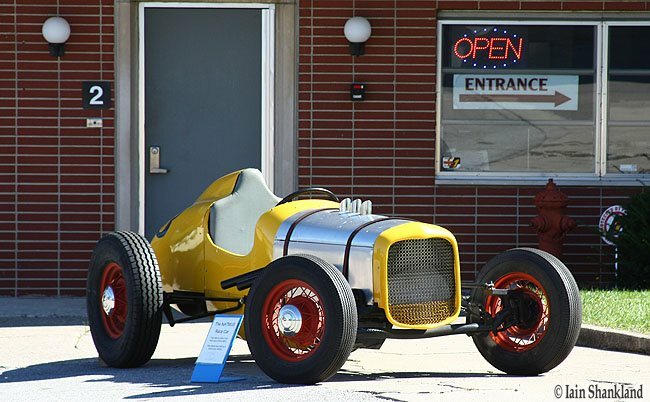 If you love cars and/or planes – this is your mecca. You simply MUST take the time to visit Auburn, or even make it an actual trip destination. 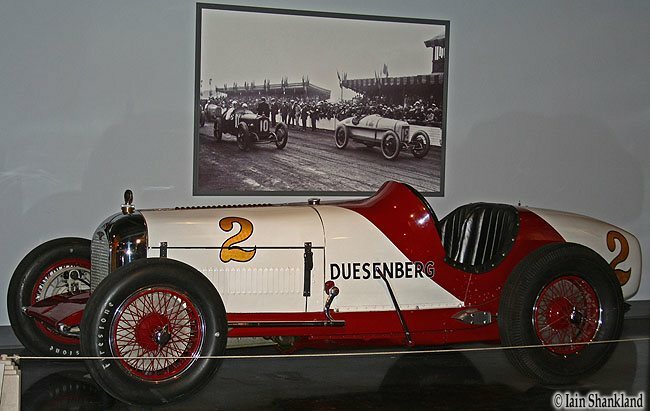 If you’re planning a trip to the Indy 500 or even a NASCAR event at either Michigan International Speedway (MIS) or Chicagoland Speedway – you aren’t far from Auburn. Located a little over two hours north of Indianapolis, and about three hours south of Chicago or Detroit. It’s only around 90 minutes from MIS if you’re visiting that track (42 miles south of the I-69/US 12 intersection). 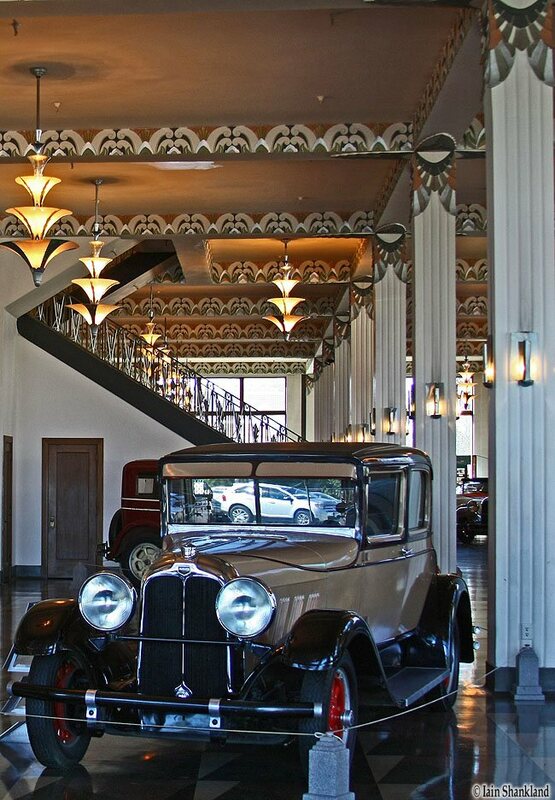 Other than Subaru, I had no idea that Indiana has had a rich automotive history, dating back many decades. 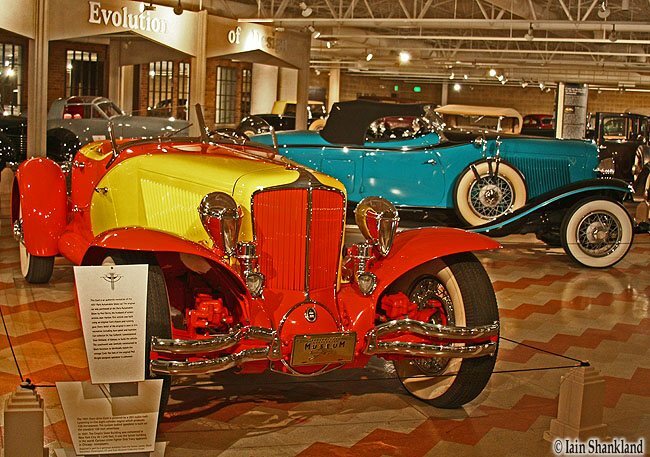 If you’re a fan of old classic cars, then you can’t pass the opportunity of spending time going through the Auburn Cord Duesenberg Museum (ACD) [AutomobileMuseum.org]. 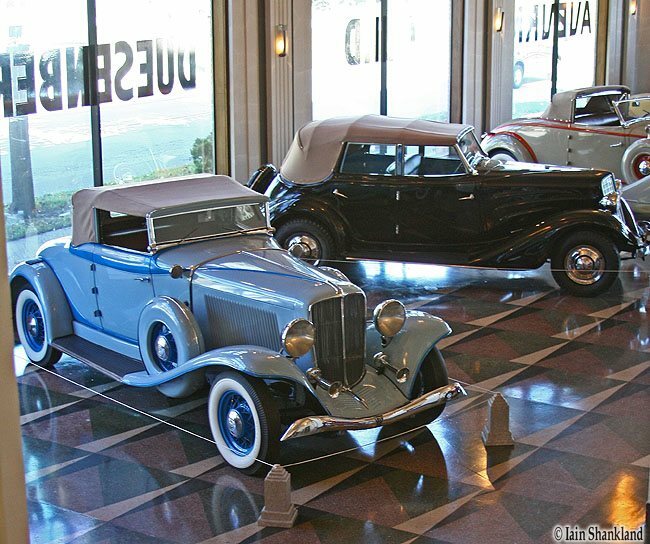 I’ve always been a big fan of the Cord and Duesenberg cars, so to find the actual factory and museum quite by accident was a huge bonus for me. About 7 minutes from Interstate 69, the ACD took us a good 2 hours to go through and we didn’t stop and read everything, but we didn’t rush either. 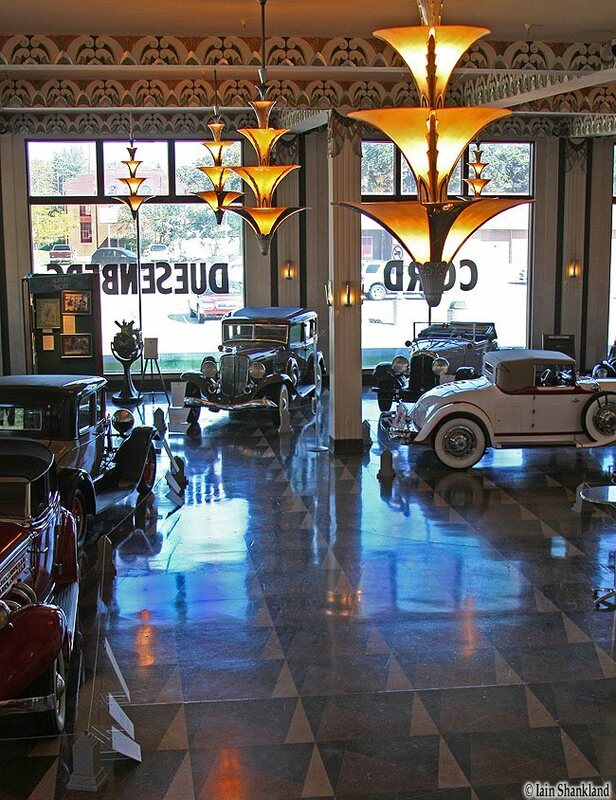 It’s a great place to see some beautifully restored cars from a time when gas was cheap and cars were huge. Hours: Monday – Friday 10am -7pm, Saturday & Sunday 10am – 5pm. Admission: $12.50 adults, $7.50 students. Children under 5, free. 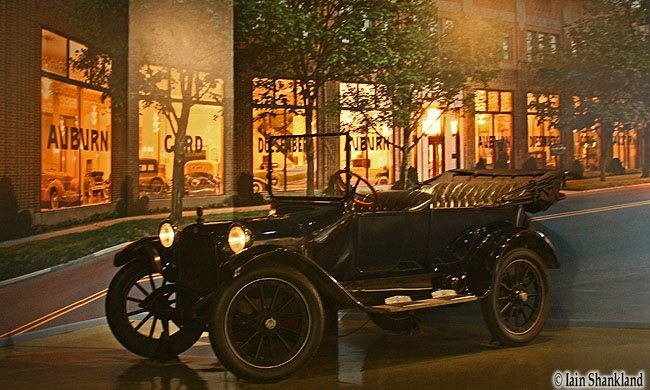 Unfortunately we didn’t realize there was another auto museum directly behind the ACD – it looked like it was the same building when we initially stopped in. 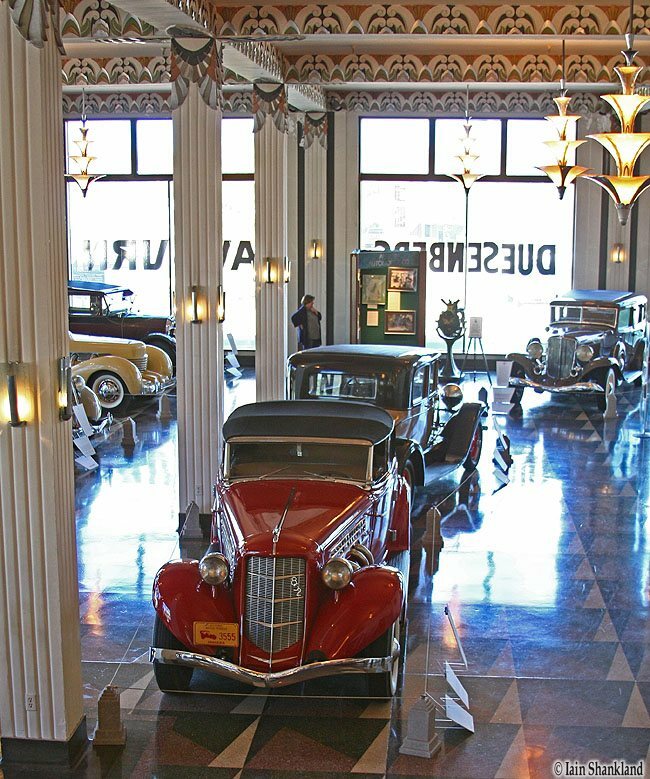 We had run out of time to view the National Auto and Truck Museum (NATMUS) [NatMus.org], spread over two buildings and 3 floors. 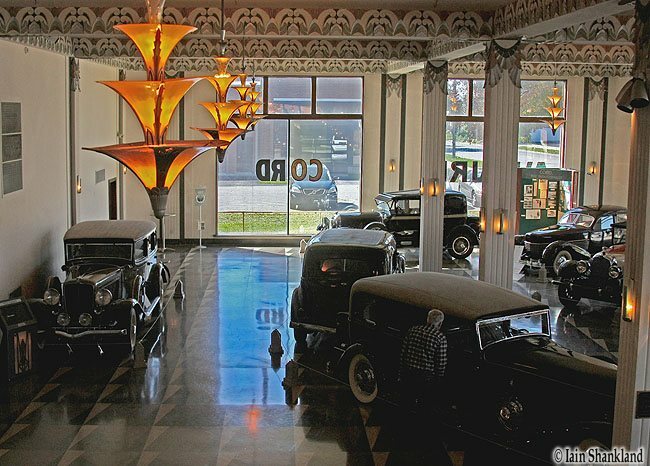 By the looks of the museum through the windows – I’d have to hazard a guess that it would take way more than 2 hours to see all of the amazing vehicles and cool antiques in the former Auburn factory buildings – and I’d be willing to make the trip again just to see this museum. 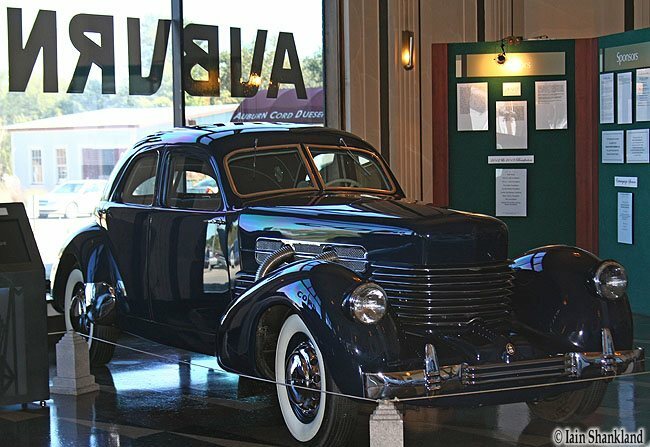 The NATMUS exhibits cars that have been built in the tradition of the Auburn Automobile Company, including outstanding examples of post-war cars. Trucks exhibited range from 1907 to modern concept trucks. 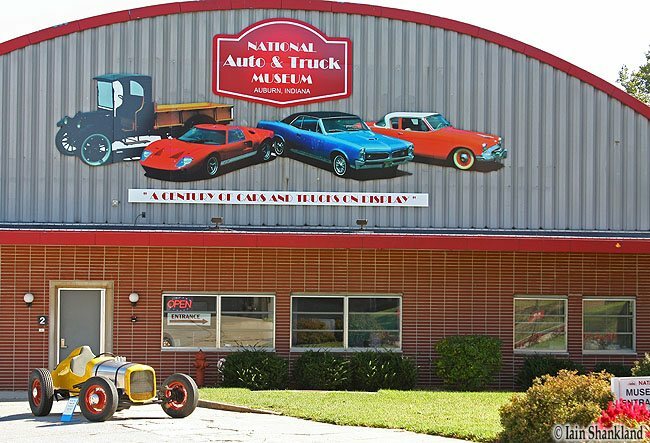 NATMATMUS (National Automotive & Truck Model & Toy Museum) is a museum within a museum and features toy and model cars and trucks – ranging from 1894 to the present. Hours: March – November – Open 7 days, 9am – 5pm. December, January & February: Thursday & Friday 11am- 5pm, Saturday & Sunday 9am-5pm. Admission: $8 adults, $4 ages 5-12. Children under 5, free. Hours: Daily 9am – 5pm. Closed Thanksgiving, Christmas, and New Year’s days. ⇒ The Hoosier Air Museum [HoosierAirMuseum.org] consists of a 10,000 square-foot hanger which houses aircraft, a gift shop, various radial, in-line, and jet engines. 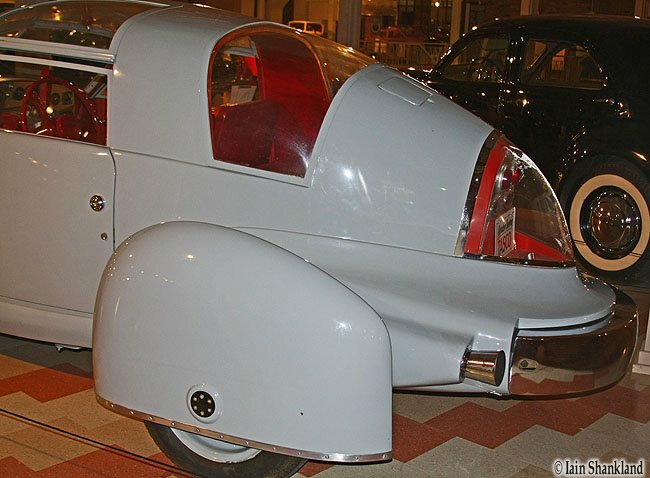 Also included are aviation memorabilia, models and photographs. The Hoosier Air Museum is dedicated to preserving aviation history from its inception to the present day. 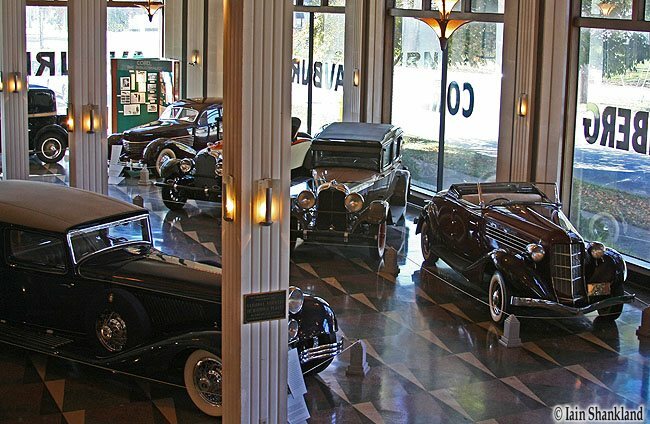 The museum’s attached annex consists of a 6,375 square-foot facility that houses a banquet/reception hall, resource library and also includes additional aviation memorabilia, models and photographs. 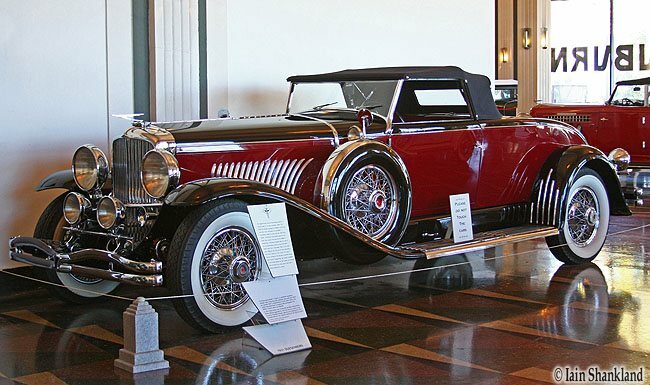 This entry was posted in Auto Shows & Concepts and tagged Auburn, Auto-Museum, AutomobileMuseum.org, Automotive, Automotive Museum, cars, Cord, Duesenberg, IMS, Indiana, Indianapolis Motor Speedway, Indy 500, Lafayette, NATMATMUS, Road Test, Test Drive, travel, Travel Blog, Wolf Park. Bookmark the permalink.